Another floating restaurant for Brayford Pool? 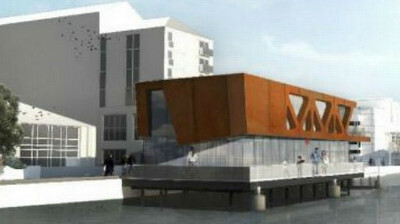 THE decision to have another floating restaurant at Brayford Pool at Lincoln was to be held in secret, but this was challenged. Lincoln Civic Trust successfully argued that the council's decision to allow planning permission for a further floating restaurant in Brayford Pool on the Fossdyke was too important to be held in private, and so now will be held in public, Alan Tilbury reports. The City of Lincoln Council has now agreed that the decision over consent to allow a further floating restaurant will be heard during the public part of the meeting. Campaigners against further development of the restricted space in the Pool put pressure on the council to open the meeting to the public so that objections can be voiced, but the council being the owners of Brayford Pool will have the final decision. There is already a floating restaurant in the Pool, Wagamama, that was erected last year with the plan to build another similar restaurant, that was turned down by the city council's planning committee but was then approved by the planning inspectorate after an appeal. It all now rests with the council in its role as landlord.